I scored and folded my red textured cardstock to create the easel (7"w x 5"h closed). Cut another red piece for the front. As I mentioned above I used my Copic attachment for my airbrush machine spraying basic colors (YG03, G17, R08) through one of Tim's stencils (Holly Bough) on white cardstock. Cut a piece of dark green textured cardstock as a frame with 1/2" borders. Adhered the two together and then tied a piece of red Sari ribbon/bow on the left side, then adhered it to the easel front. 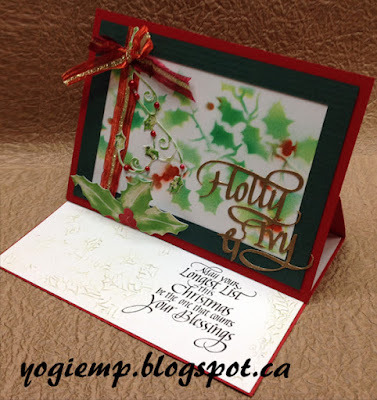 eCut the "Holly & Ivy" from white cardstock. Applied Versafine Toffee all over and then embossed with Queen's Gold embossing powder. Adhered it to front. Die cut the holly branch (ECD) from white cardstock and hit with Distress pads "Shabby Shutters" & "Pine Needles". Then applied Stickles "Holly" with my finger on the leaves. Adhered to card and added red pearls. 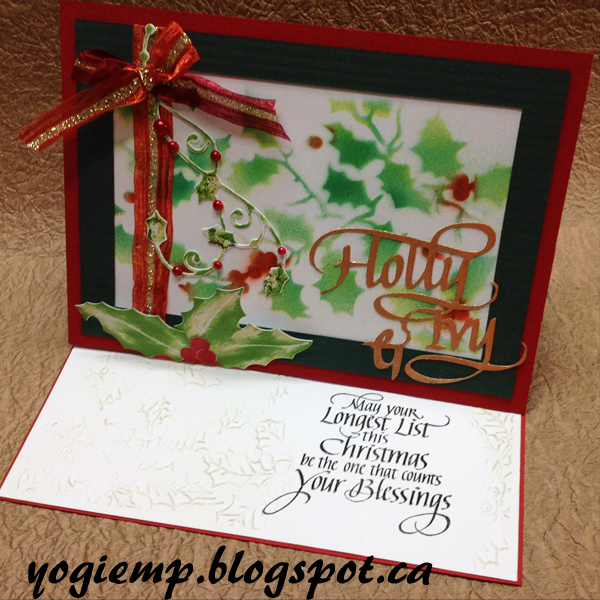 On the floor: Dry Embossed it partially with Sheena Douglas "Holly " embossing folder - hit the high points with a dirty green sponge lightly. Stamped the quote ("May Your longest List...") with Versafine Black Onyx and clear embossed. Die cut the holly leaves (ECD) hit direct to paper with the shabby shutters & "Mowed Lawn". Adhered to a small piece of cardstock to create my stopper. Colored the berries with "Fired Brick" and clear embossed then adhered to leaves then to the floor. 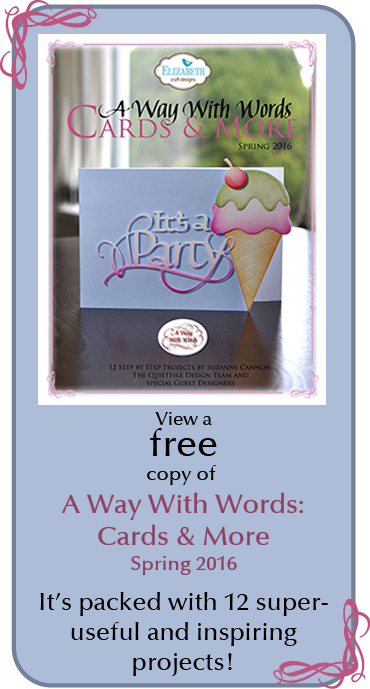 LOVE IT ALL, from your GOLDEN sentiment & SWEET quote to your holly & fancy fold!!! Love the soft background, Yogi! Gorgeous card!